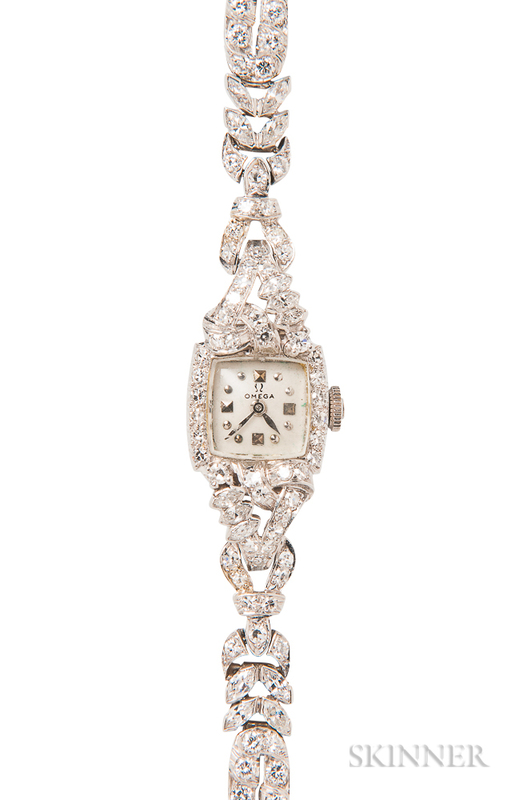 Platinum and Diamond Wristwatch, Omega, the ivory-tone dial with dot indicators, 17-jewel Omega movement, set with marquise-, baguette-, and full-cut diamonds, approx. total wt. 5.00 cts., bracelet with maker's mark for Waslikoff & Sons, lg. 6 1/4 in.